Happy Monday! If you’ve been a reader of this LMA Newsletterfor any length of time, you know that we are all over Assignment of Benefits (AOB) abuse like flie s on honey, as we say in the South! It’s one of the most significant threats to Florida’s property & casualty insurance sector. If your livelihood depends on this marketplace or you simply own an insured structure in Florida, you will be glad you spent an hour this Wednesday at noon participating in an interactive webinar aptly titled, “Industry Beware: Inside the AOB Epidemic”. Insurance industry leaders such as Joe Petrelli from Demotech, Wesley Todd and Carly Cohen from CaseGlide, Paul Handerhan of FAIR, and yours truly will briefly share how we are tackling AOB abuse head-on. You will learn what we all can do to combat the impacts of AOB fraud. And best of all, you will be part of a specific Action Plan being formulated to address growing AOB abuse in Florida and realize how you as an insurance policyholder, or an insurance company, can benefit. Knowledge is power, as we like to remind our readers here! How Florida insurance regulators are sounding the alarm bellto demonstrate that AOB abuse is putting tremendous upward pressure on insurance rates. The“Industry Beware: Inside the AOB Epidemic”webinar is freeand accessible via computer or phone. Click here to register to reserve your seat! Or go to demotech.webex.com and sign up for the AOB Epidemic webinar this Wednesday the 20th from noon to 1pm ET. Speaking of AOB, we were reminded just this week of the impact of the problem during the Citizens Property Insurance Claims Committee meeting. The monthly average of new lawsuits from January through April of this year is 1,072. This is a 49% increase in new suits from the same time period in 2017. The majority of new incoming lawsuits has shifted to Hurricane Irma litigation with the overwhelming majority (over 90%) arising out of the Tri-County area. About 15% of the 3,217 Irma lawsuits filed through mid-May involve AOBs. An Orlando contractor has become the newest face of reported Assignment of Benefits abuse in Florida, accused of defrauding 19 homeowners across eight counties here and another in Texas. 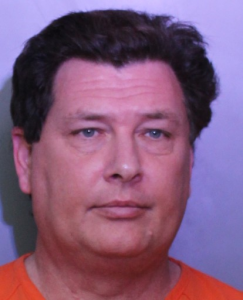 Timothy Cox was arrested on June 5 and charged with theft and racketeering for stealing nearly $140,000 from the homeowners and their insurance companies for home repairs his firm never provided. Cox’s case is one of more than 100 ongoing AOB investigations statewide by insurance fraud regulators. Investigators say Cox and his team targeted damaged property from Hurricane Irma and previous tropical storms in Brevard, Clay, Escambia, Flagler, Orange, Osceola, Seminole and Volusia Counties and Tarrant County, Texas. After receiving the insurance payments, they never started any of the work they were contracted to perform on the 19 homes. 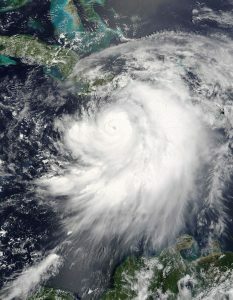 The payments made to Nationwide Catastrophe Services, Inc. and Restoration Response Services, Inc. of Orlando were deposited into bank accounts controlled by Cox, who used the money for personal use. Some victims’ homes suffered additional damage from subsequent storms, too. While this is one arrest out of 100+ ongoing cases, there have been thousands of other AOB abuses in Florida whose cases have either been settled or the homeowner was intimated to not report it. AOB abuse has created an additional $1 billion of inflated insurance claims over recent years – costs eventually passed along to all homeowners through higher rates. And the problem is getting worse. New subscribers to the LMA Newsletter can learn more in this LMA Backgrounder: Assignment of Benefits. Every day (yes, literally “every day”), I receive complaints about roofers engaged in the unauthorized practice of public adjusting (UPPA). These roofers hold themselves out to be “insurance claim specialists,” advise that they have “licensed adjusters on staff,” and state that they can “negotiate your insurance claim.” I receive these complaints from insurance companies, public adjusters, and reputable roofing contractors. These reputable roofing contractors are particularly concerned about this conduct, as it places them at a competitive disadvantage with roofers who improperly promise to negotiate claims and, of course, waive deductibles. Well, that can’t be said any longer. This week the TDI issued two Consent Cease and Desist Orders against roofers engaged in UPPA. These roofers were also fined $2,000 each for their improper conduct. The Order involving CSI Renovations is available here. The Order involving A-Affordable Roofing is available here. 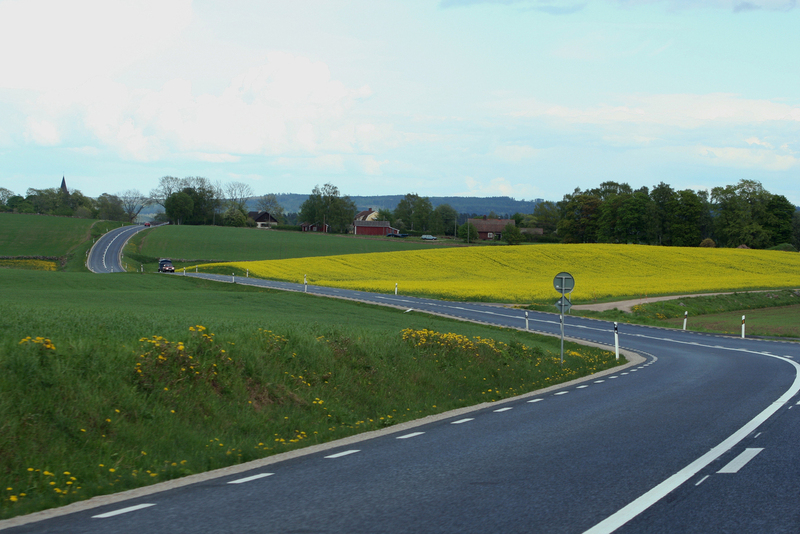 And we understand that additional orders can be expected in the weeks ahead. Hopefully these actions by the TDI will cause Texas roofers engaged in this conduct to think twice before improperly injecting themselves into the insurance claims process. For those that continue to engage in this improper conduct, they not only risk the wrath of the TDI, but also the possibility of class action lawsuits brought by their homeowner clients, such as this onepresently before the Texas Supreme Court. You know it’s summer when you’re counting the days until FEMA’s National Flood Insurance Program (NFIP) is next set to expire. Unless Congress takes action, the NFIP will expire next month at midnight on July 31. Florida has the most policies of any state – nearly 1.8 million of the NFIP’s 5 million policies. If the program lapses, flood coverage for those who have it now would continue for 30 days beyond individual policy expiration. But for those buying a home requiring flood insurance, there would be a problem. When the program lapsed for a month back in 2010, an estimated 1,400 home-sales closings were canceled or delayed each day. The NFIP has been reauthorized six times since last September, pending a formal reform package passing both houses of Congress. So far, only the House has passed the 21stCentury Flood Reform Act (H.R. 2874), a package that reauthorizes the NFIP through 2022. Disputes continue over provisions in the bill, including how to reform the claims process, fund improvements to outdated flood maps, and expand the private flood insurance market. Despite a post-Irma cash infusion by Congress, the taxpayer-subsidized NFIP is back at nearly $25 billion in debt and still using old flood data and maps, with rates that don’t match risk. FEMA this spring announced an average 8% increase in NFIP rates to stem the growing debt, made worse by the very active 2017 hurricane season, which saw some of the largest payouts in NFIP history. There is a growing realization, led by Florida’s successful model legislation to bring more private carriers into the flood marketplace, that more private insurance options can help stabilize both the NFIP red ink and property owners’ ever-increasing flood rates. To stem that red ink, FEMA is also buying greater amounts of reinsurance for the NFIP, to the tune of $1.46 billion this year. Last year, working through Guy Carpenter, FEMA purchased $1 billion of reinsurance from 25 carriers for the first time in its history. Now, FEMA is floating the idea of issuing a so-called catastrophe bond, which would work like reinsurance, but pay a return on investment if disaster costs stay under a certain threshold. You can read Congressman Ross’s complete commentary here. Long acknowledged upfront that we can’t continue to kick the NFIP can down the road, while finding a comprehensive way to push forward to protect affordability that keeps NFIP solvent. Insurance is the key to reducing disaster declarations he said and complained that too many folks are uninsured with too many of those talked out of flood and earthquake coverage. Among the specific needs he outlined: better identification of where flooding will occur; better incentives for private flood insurance, with regulators facilitating the process and bankers willing to accept private coverage for mortgages; and a greater policy commitment by Washington D.C. and the fifty states and U.S. territories. Long emphasized the importance of resilience for future disaster preparedness efforts with the focus on pre-disaster mitigation. It’s something he’s focusing on going forward, under the banner of “FEMA Resilience,” a new organization within the agency. (You can read more about those efforts in this Global Resilience Institute blog.) FEMA’s goal is to double the number of those with flood coverage by 2023 and quadruple mitigation investment in that same time. On the disaster front, Long acknowledged that 2017 was a dilly, with a period where every three days FEMA was picking up a new disaster. Despite a fulltime staff of 6,000-8,000 depending on the year, complemented by 20,000 “staff reservists”, he said that FEMA is often stretched thin. FEMA will need local and state governments to be prepared to supply water and other essentials for the first few days following future disasters and he also wants local governments to be mini-granting authorities to get aid into the communities more quickly. He noted that 50% of disasters are under $7.5 million – so we need to do things differently. 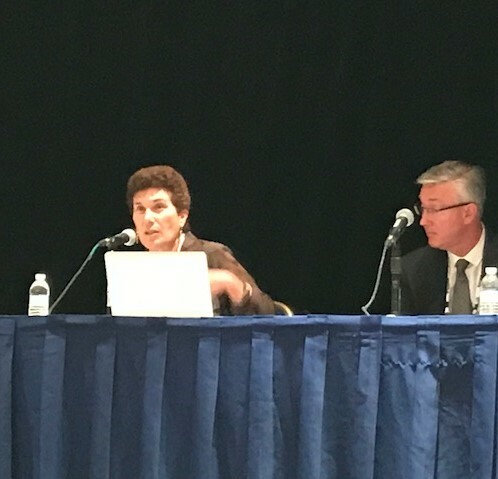 Throughout the conference, there was plenty of discussion about NFIP’s shortcomings: decades-old maps, some as old as 1970; inconsistency between modeling; a lack of proper flash flooding risk; and that NFIP has violated a key facet of risk management because it’s not spreading the risk! The need for greater collaboration and leveraging new technology were common themes. Greater use of cellphone apps, for example, could replace the need for many in-person home inspections – speeding claims. Florida Insurance Commissioner David Altmaier told conferees his focus is on reliable, available, and affordable flood products. He noted that 41% of Florida properties within flood hazard zones had flood insurance which meant 59% did not. That’s 1.75 million NFIP policies covering about $434 billion in value. Meanwhile, Florida’s private market is growing, with 19 carriers as of April writing about 28,000 policies, up 8,000 policies from 2016, according to Altmaier. What’s at stake because of the flood coverage gap couldn’t be starker. A Munich Re study was quoted that over the last 40 years, there’s been $4 trillion of economic loss of from flood events with only $1 trillion in recovery. As a result, individuals suffer, communities don’t rebound, and taxpayers are burdened with the cost of recovery. NFIP is using direct surveys to solicit what the agency should fix and gauge the customer and stakeholder experience. Or you can write directly to fema-nmis@fema.dhs.govto send your ideas – the BIG IDEA! 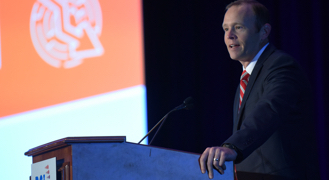 At the PCI conference, FEMA’s Brock Long emphasized the importance of resilience for future disaster preparedness efforts with the focus on pre-disaster mitigation. Well that’s just what a panel of experts including yours truly pushed during one of the breakout sessions: how we’re still not to the place where the average consumer talks about “flood vents”, for example, the way they discuss their Starbucks®double espresso or latte. We had a robust discussion about the reasons resiliency makes sense from a practical and insurance standpoint. It was Hurricane Andrew 25 years ago that really got the nation engaged in mitigation conversations. Building codes changed, especially here in Florida, which became a model for other states. John Ingargiola, Lead Physical Scientist for FEMA, shared how building codes are the holy grail of disaster resiliency. As we move in the direction of attempting to build higher and stronger, he said community leaders should ask themselves what’s in their building codes and more importantly, what isn’t. Is it disaster resistant and is it enforced? Too often, the answer is “no” and we fail as communities in this regard. Fellow panelist Mike Graham knows first-hand the cost benefits of resiliency and is a street evangelist when it comes to flood mitigation. As CEO of Risk Reduction Plus Group, Mike knows down to the dollar the amount of federal disaster aid that is saved when structures have flood venting in place. Many of us know Mike as President of Smart Vent Products, a leader in wet and dry flood proofing solutions. In the world of wind, we have pretty much perfected ways to reduce the risk of wind damaging a structure: we strap down roofs, install impact-resistant glass, and we brace garage doors. In flood? We elevate and we vent – thank you Mike and Smartvent! The panel and audience discussed how we need to take lessons from our research about reducing wind risk and use that in our research to reduce flood risk. And when we do that and we tell insurance companies how we plan to do that for the risk they insure, they will respond by giving us better pricing. As for me, I spoke to the audience about one of my favorite topics: the Florida private flood insurance story. Our model legislation (through SB 542and SB 1094) has been a real game-changer in encouraging a true private market in Florida. This policy and regulatory framework has brought more private firms to write flood insurance in Florida as an alternative to NFIP’s rising premiums – and given Florida consumers a real choice. The number of claims and especially the total losses jumped significantly in the latest monthly update of Hurricane Irma claims data from the Florida Office of Insurance Regulation (OIR). The May numbers put total estimated insured losses at $9.7 billion, up more than $1 billion since the April report. The number of claims also rose, up about 54,000, to a total of nearly 988,000. More claims are expected to be filed throughout the summer from the September 2017 storm. Nearly 92% of the 823,733 residential property claims filed to date have been closed, with 68% of the 58,544 commercial property claims closed. Miami-Dade, Collier, Broward, and Lee are the leading counties in the number of damage claims filed. Not counted: agriculture losses, which the state has estimated at $2.5 billion. Meanwhile Fitch Ratings is reporting that the property & casualty sector overall is well prepared for the 2018 hurricane season that started two weeks ago and goes through November 30. The rating agency says U.S insurers can handle a future significant catastrophe event in 2018; weather predictions indicate a near-average season. Last year’s insured losses from Hurricanes Harvey, Irma, and Maria totaled about $80 billion, most of which was paid by reinsurers, alternative capital markets, and the federal government through its National Flood Insurance Program. Fitch says aggregate insurers’ surplus grew 7.5% in 2017 to a record $765 billion, with higher investment returns offsetting underwriting losses from the storms. An OIR spokeswoman was quoted in published reports last week as saying that no P&C insurers have reported financial difficulty in paying Florida Irma claims. Amendment 8is actually three proposals in one amendment. It wouldestablish term limits on local school board members; allow the state to approve and supervise charter schools in place of local school districts; and require civic literacy education in public schools. What these three provisions have in common is greater state authority over local school boards and curriculum. The amendment would limit local school board members in each of Florida’s 67 school districts to a term of eight consecutive years. There is currently no limit. The amendment would also limit local school boards to operating and controlling only those schools it established. That means that charter schools – privately created “public schools of choice” that operate and receive funding from their local school board – would no longer be under the board’s control. This is a prelude to state authority and supervision over local charter schools, something Florida lawmakers have expressed growing interest in doing as a way to increase academic innovation and student achievement. There are now 654 charter schools in Florida since their authorized creation by the legislature in 1996, enrolling 283,000 students. Amendment 8 also requires the legislature to provide for the promotion of civic literacy in public schools. “As education is essential to the preservation of the rights and liberties of the people, the legislature shall provide by law for the promotion of civic literacy in order to ensure that students enrolled in public education understand and are prepared to exercise their rights and responsibilities as citizens of a constitutional republic,” states the amendment. Amendment 8 was placed on the November ballot by the Constitutional Revision Commission, a group that meets every 20 years to consider changes to the state constitution. Read more here on how this proposed amendment was created. All proposed amendments to Florida’s constitution require a 60% majority vote to be approved. As many of our readers are Floridians, it’s important to know how each of these measures can affect us and our families, businesses, and employees. Knowledge is power! It’s been a busy couple of weeks but I am always so privileged to work with a lot of bright people in the insurance, housing and emergency management circles. I have learned a great deal and of course, am always looking forward to learning more. I am happy to share with you more details of our travels and experiences and appreciate you taking the time to read all the way through this newsletter, which we consider a labor of love! Thank you for all you do and have a great week. My best and see you on the trail!